Telecommunicators, also referred to or known as dispatchers or PSTs (public service telecommunicator). We are the primary point of contact for persons needing police, ambulance or fire assistance. We also provide a channel of communication between responders and other public safety personnel. Centre County 911 dispatchers are skilled professionals. 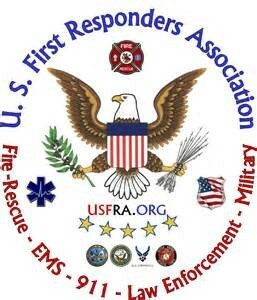 Many are part-time first responders (firemen, EMTs & police officers) in addition to being full time 911 employees, many dispatchers are also part-time first responders (fireman, EMTs and police officers). We receive extensive training, follow scripted protocols & operation guidelines. We must participate in continuing education, re-certification exams, specialized training and receive updates on trending services in order to execute call processing and dispatch applications. Our telecommunicators receive quality assurance (QA) reviews on a weekly basis. What is QA? Quality Assurance is a performance review completed on each dispatcher. Events are randomly selected and reviewed to ensure protocols, procedures and guidelines are followed. A feedback report is provided to the dispatcher. If certain standards are not met, the dispatcher will receive additional training, or in rare cases, disciplinary action or termination. These strict standards required of us are outlined by the International Academy of Emergency Dispatch (IAED).